Dazed and crazed in a maze. 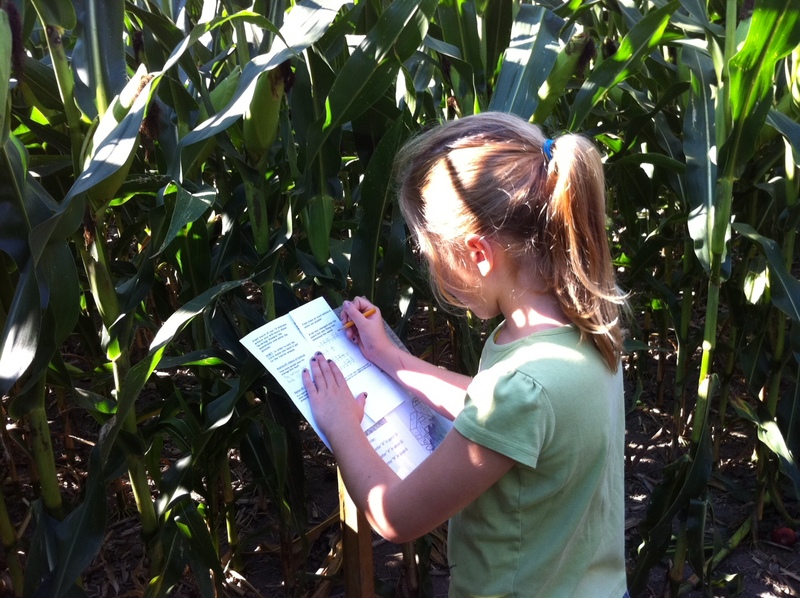 That’s how I spent yesterday, deciphering the corm maze at Wynn Farms and picking apples with the girls. There’s something about getting lost in a maze that takes you back to your childhood. I remember my parents taking me to Centre Island in Toronto. Besides the petting zoo and the ferry ride , our favourite part was the maze. I think it was my parents’ favourite too since they could sit and enjoy a moment of peace and quiet while we raced through the paths, squealing every time we came to a dead end. Here were just a few of the a-maze-ing facts we learned about farming in yesterdays’s maze. In a typical 10,000 item grocery store, a quarter, or 2,500 products contain corn! 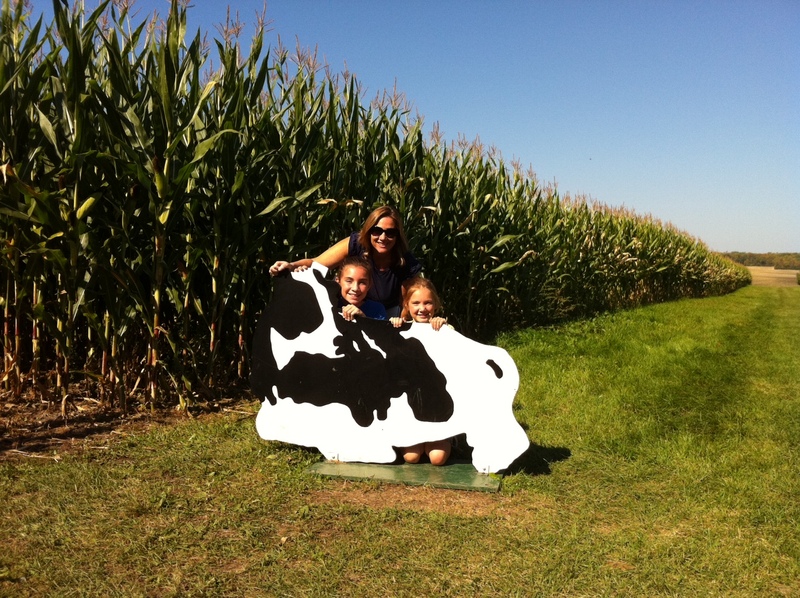 This week’s #HappyAct is to do your own a-maze-ing race in a corn maze. 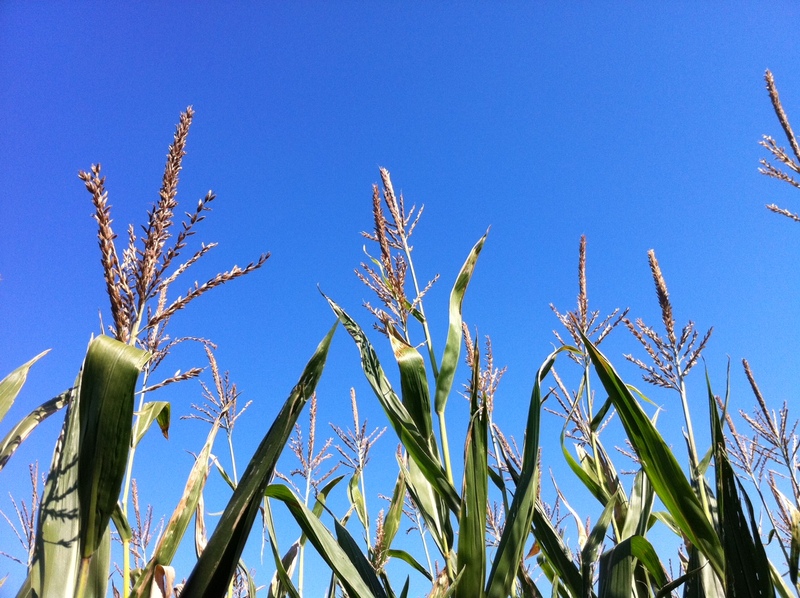 Gaze at the fields ablaze with reds and golds and corn silk shining against the bright blue sky. Don’t get fazed. It’s the newest craze. Special note for those of you who love to Gaze at the Stars. This Thursday, October 2nd, Terence Dickinson the reknowned astronomer is putting on a free presentation open to the community at Prince Charles Public School in Verona from 7-9 p.m. Hope you can make it! Hey, we just went out to Wynn Farms recently too. We go every year. Didn’t do the maze though. Mazes like that are one of the few things that cause my wife and I to, let’s say ‘disagree’. Instead we picked apples http://theplaceunderthepine.blogspot.ca/2014/09/apple-pickin.html . That was our happyact.